Charging electric cars is a major concern for EV owners. In fact, it is one of the aspects that affect the decision-making process of any prospective buyer as well. Companies have come up with fast chargers and superfast chargers that are relatively close to competing with traditional refueling times, but they aren’t quite there yet. 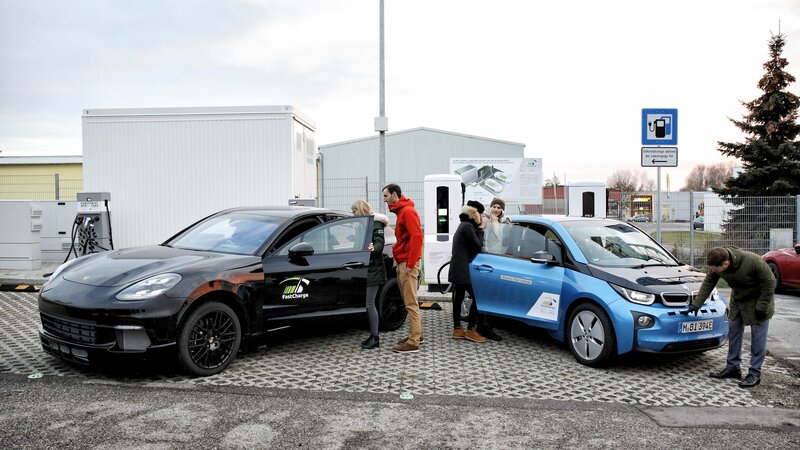 All of that may change, though, as BMW and Porsche have announced a new ultrafast electric car charger that is faster than even Tesla’s supercharger! Porsche is known to produce, perhaps, the most reliable cars in the industry today. However, they have been haunted by recalls in the past, and there’s another one yet again; this time affecting certain Panamera models. 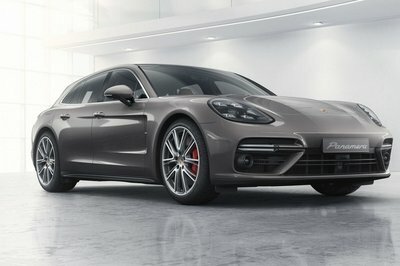 Porsche has issued a recall for the same and has stopped the sale of the new Panamera models until further notice. 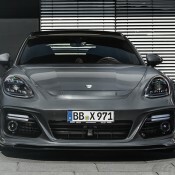 TechArt’s work on the Porsche Panamera extends all the way from the saloon’s introduction in 2009. We’ve seen the German tuner introduce different versions of its GrandGT tuning kit in the past eight years. At the 2018 Geneva Motor Show, TechArt is keeping the tradition alive with its latest and punchiest Panamera program to date. The kit is called the GrandGT Supreme, and as its name suggests, the program is a more sophisticated version of the standard GrandGT, one that features a more aggressive body kit, a more opulent interior, and enough power to justify its cutting-edge looks. 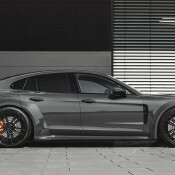 TechArt’s exterior upgrades for the Porsche Panamera are far from subtle. That much is clear with the tuner’s standard GrandGT kit, and it’s even more prominent with the GrandGT Supreme program. Though there are some similarities between the two programs, the latter offers a more pronounced hood with a noticeable power bulge. The fenders, arches, and lower side sills are all wider to the point that they look abnormal. Together, they help enhance what is already an imposing-looking Panamera. At the back, the tuner installed a more prominent diffuser with larger strakes than the ones found on the “standard” aftermarket version. 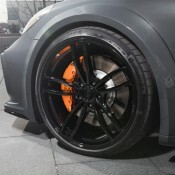 If these upgrades aren’t enough, TechArt also installed a new set of 22-inch Formula IV wheels. And to top it all off, the tuner chose an interesting color to put the saloon’s aesthetics altogether. We all thought that “Racing Green” only looked good on Aston Martins. Turns out, it doesn’t look too shabby on a Porsche Panamera either. It can be argued that most of the work TechArt did with this Porsche Panamera can be found in the car’s interior. We’re not just talking about run-off-the-mill improvements, either. The tuner’s master craftsmen — yes, it has those — developed an un-embossed Nappa leather fabric that is apparently free of chromium and finished without the need for solvents. I didn’t even know that chromium and solvents were involved in the leather-making process, but that’s fine. All I know is that the good stuff is all over the interior of the Panamera, right down to the door panels and footwells. The wooden sideboard on the dashboard and the wood trims help elevate the elegance of the cabin, while the multi-colored stitching brings out a bit of the interior’s personality. It’s not hard to imagine what a well-appointed Porsche Panamera looks like. Porsche does a good job of doing that all by itself. 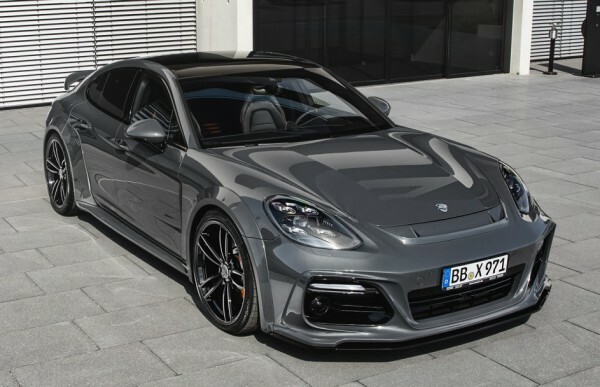 But if you really want a Panamera that really looks the part of a luxury sedan on wheels, TechArt’s GrandGT Supreme kit does a good job bringing that vision to life. As exciting as the aesthetic and aerodynamic upgrades are, TechArt’s GrandGT Supreme program wouldn’t be complete without the accompanying engine upgrade. In this instance, the base Panamera Sport Turismo Turbo gets a shot of adrenaline in the form of the tuner’s gnarly TECHTRONIC tuning kit. The software program doesn’t add any turbochargers in the mix, but it is responsible for giving the saloon an extra 90 horsepower and 100 pound-feet of torque. The result is a car that now boasts 640 horsepower and 664 pound-feet of torque, enough power to properly it from a standstill position to going 62 mph in just 3.4 seconds. 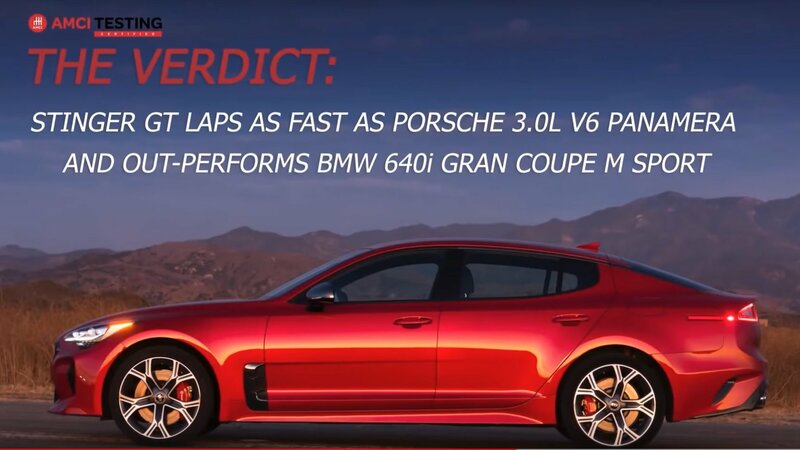 TechArt didn’t say what kind of top speed the Panamera GrandGT Supreme is capable of, but if the saloon’s speed limiter was removed, we can’t imagine it doing anything less than 200 mph. Regardless of the numbers, the GrandGT Supreme kit isn’t a novelty tuning program. It’s meant for Porsche Panamera Sport Turismo Turbo models that have no issues standing out, both on the streets, and on the race tracks. When it comes to tuning programs for the Porsche Panamera, there aren’t a lot of tuners that are capable of maximizing the luxury sedan’s aftermarket potential. It’s a good thing that TechArt happens to be one of the few aftermarket companies that can do that kind of work. It has an eight-year history of building programs for the Panamera, and it looks like that form hasn’t waned since. There’s a lot about the GrandGT Supreme that appeals to us. At the end of the day, that’s what these programs are all about, right? Read our full review on the 2018 Porsche Panamera Sport Turismo. Porsche Used to Transport $14 Million in Gold – Now That’s Rich! It’s not exactly the plot for Fast & Furious 9, but it might as well be. A convoy of three Porsche Panameras was given an unusual task by Baird & Co. that’s normally done by armored trucks. 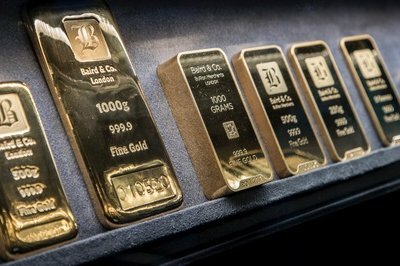 Britain’s leading bullion merchants and gold refiners needed to organize a massive shipment of 24 gold bars with a combined value of $13.8 million from its refinery to its new London showroom in Hatton Garden, a distance of 12 miles. Instead of hiring a security company as most companies do, Bard & Co. hired Porsche to get the job done. 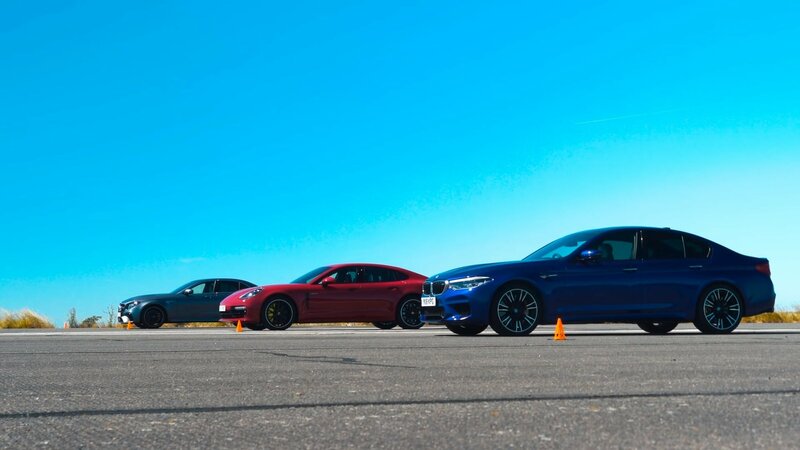 It was a curious choice to tap Porsche for the job, but the potential for tremendous publicity for both companies was sitting there on a silver platter. 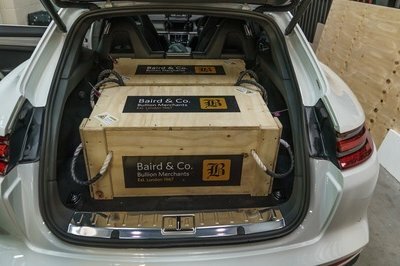 So Baird & Co. and Porsche did it. 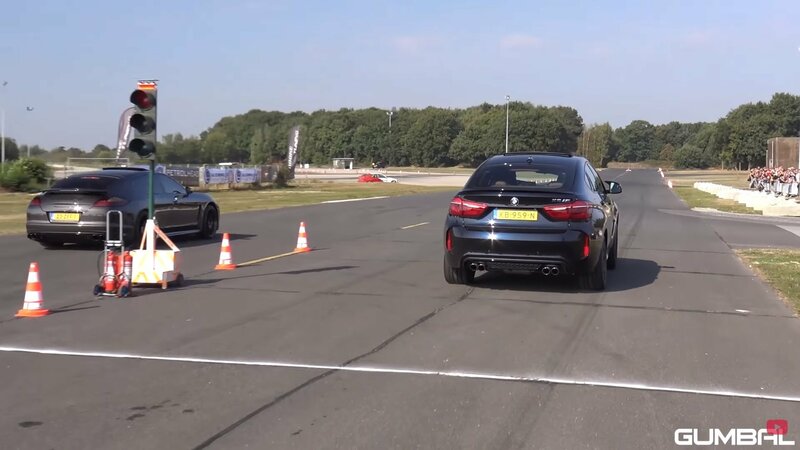 The latter supplied a pair of Porsche Panamera Turbo Sport Turismo and a Porsche Panamera Turbo S E-Hybrid Sport Turismo to do the work normally reserved for armored trucks. The logistics of the transport involved each Panamera having a driver, a radio operator, and a security specialist. The three would work in concert with their colleagues to transport the gold bullion crates that each car was carrying. These crates weighed close to 60 kilos a piece and carried $4.7 million in gold bullion. That’s a lot of weight packed in a very dense package. The security plan put in place was worthy of a head-of-state. In addition to the three Panameras, the convoy also included a helicopter, a security detail, and a precisely planned and rehearsed route that needed to be executed with absolute precision. Time was also important because, according to Porsche, the longer it took the gold bars to reach their destination, the greater the risk of something going awry. At around 11 a.m. local time on Sunday morning, the convoy left the Baird & Co. refinery in route to its destination. A lead car guided the convoy as it snaked through the streets of London and after 40 pulse-pounding minutes, the convoy arrived safely at its destination. Specialist teams on standby at Hatton Garden unloaded the heavy crates from the Panameras, concluding a tense hour of waiting to see if the convoy made it to its destination. One of the most relieved people to see the journey come to an end was Baird & Co. director Nick Hammond. “In this instance, we had a very large shipment of gold to transport – which is quite rare,” he said. All’s well that ends well, and in this case, the three Panameras and their air suspension systems deserve a lion’s share of the credit. It’s not easy to carry a 60-kilo crate with almost $5 million in gold inside it. But the three Porsches managed to do it. Now it’s basking in the glory of the publicity it generated. Well played, Porsche. 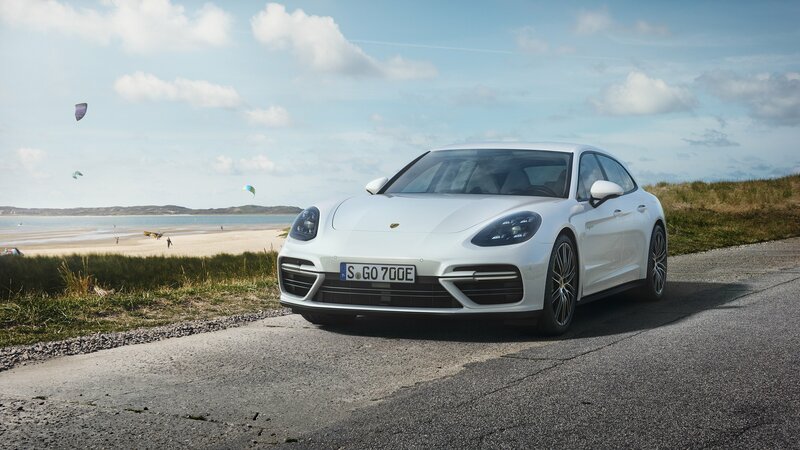 Read our full review on the Porsche Panamera Turbo S E-Hybrid Sport Turismo. Porsche first introduced the Panamera in 2009 at the Shanghai Auto Show, and since then, we’ve seen a plethora of models and updates. The second generation arrived just last year, and now, there’s a new flagship iteration dubbed the Turbo S E-Hybrid Sport Turismo. Put all those names together, and what you’re left with is a twin-turbocharged 4.0-liter V-8 mated with an electric motor, offering both rip-snortin’ performance and plug-in hybrid eco friendliness, as the mood may strike you. The electric motor makes 136 horses all by itself, while the V-8 makes 550 horsepower. 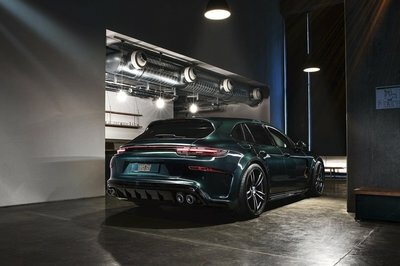 Working in concert, they produce 680 horsepower and 626 pound-feet of torque, essentially making this new Panamera one of the most powerful Porsches ever. Outside, you’ll find active aero like an adjustable roof spoiler, as well as 21-inch wheels. Handling stuff includes the option for rear-axle steering, plus standard spec like Porsche’s branded ceramic brakes, dynamic chassis control, and torque vectoring. Keeping it shiny side up is a three-chamber air suspension system. Meanwhile, the power makes its way to the pavement by way of an eight-speed PDK transmission, as well as an active AWD system. Important numbers look like 3.2 seconds for the 0-to-60 mph run, 11.6 seconds in the quarter mile, and a top speed of 192 mph. Fuel mileage and range will be announced closer to launch. Pricing is set at $188,400. Look for it in dealers next spring, and read on for further details. Continue reading to learn more about the 2018 Porsche Panamera Turbo S E-Hybrid. What Should I Expect In The Cabin? 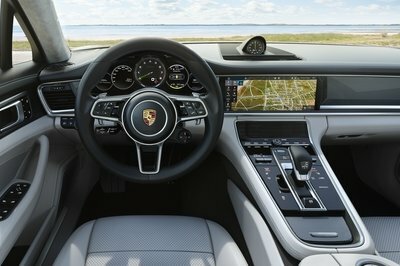 Inside is Porsche’s advanced cockpit set-up, as well as a variety of driver assistance tech (adaptive cruise control, etc.). Options include seating for four to five passengers. And since the Sport Turismo is framed as a wagon, practicality was a definite consideration. As such, the new model gets a big tailgate, low loading floor, and more cargo volume. With the rear seats up, there’s 15 cubic feet of space, while the rear bench can fold in a 40:20:40 split for extra room. Folded all the way down, cargo room expands to 45.7 cubic feet. What About The Electric Motor? Does It Make This Porsche Green? Maybe not by Prius standards, but framed as a sports car with nearly 700 horsepower, most definitely. The electric motor is juiced by a lithium-ion battery pack rated at a 14.1-kWh capacity. Plug it into the wall, and it takes 12 hours to reach full charge, while the optional 7.2-kW charger will take just three hours from a 240-volt source. Charge management is controlled via the Porsche Connect app, supported on either smartphones or Apple Watch, which means you can suckle at the teat of the local grid during off-peak hours. And while Porsche has yet to announce the all-electric range, we’d expect around 30 miles with a full charge, give or take. After that, you’re the burning dino juice. What do you think, dear reader? Does the 2018 Porsche Panamera Turbo S E-Hybrid tickle your fancy? Let us know your thoughts in the comments section below, and stay tuned for our forthcoming full written review. 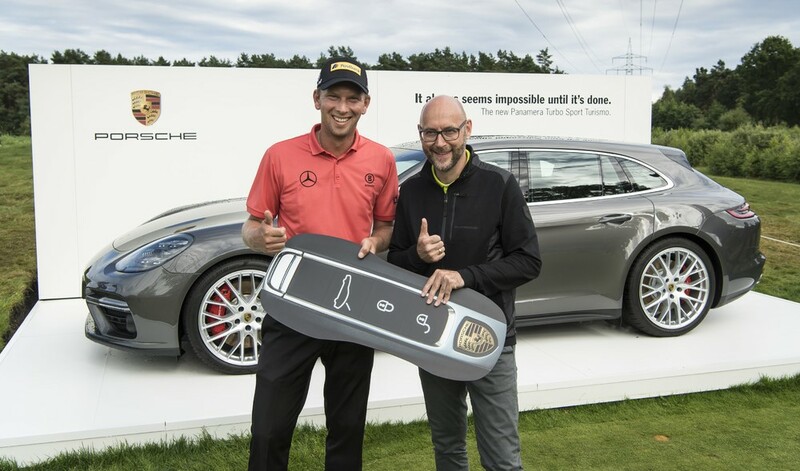 Porsche European Open 2017 golf tournament turned out to be a great publicity event for the German car maker, but nobody there went home happier than German golf pro Marcel Siem. The man swung a beauty with his 7 iron and nailed a hole in one from 170 yards to win a brand-new Porsche Panamera Sport Turismo, the top-end Turbo model. For those of you who are into golf, the 37-year-old pro, on his 400th European tour, aced par 3 hole on Hamburg’s Green Eagle golf course, so if you want to replicate the feat that’s where you need to be. Mind you, there probably won’t be a Porsche Panamera Sport Turismo waiting for you if you make the hole, not even a symbolic outsized Porsche key to take a picture with! In another one of their spectacular publicity efforts at the European Open 2017 tour, Porsche tapped golf pro Peter Hanson for a fun little activity in which he would try to learn competitive driving from Porsche works driver Patrick Piletin a new 911 GT3, and in turn he would try to make a pro golfer out of the racing driver later on. The post Hole in One Earns German Golfer a Porsche Panamera Sport Turismo appeared first on Motorward. 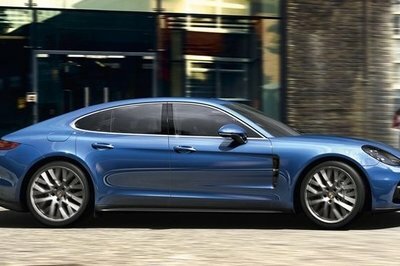 It’s been a while since we last saw a prominent aftermarket company develop a program for the Porsche Panamera. 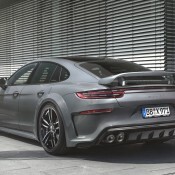 In fact, ever since the Porsche unveiled the second-generation Panamera this time last year, the tuning world has been surprisingly quiet on this front. 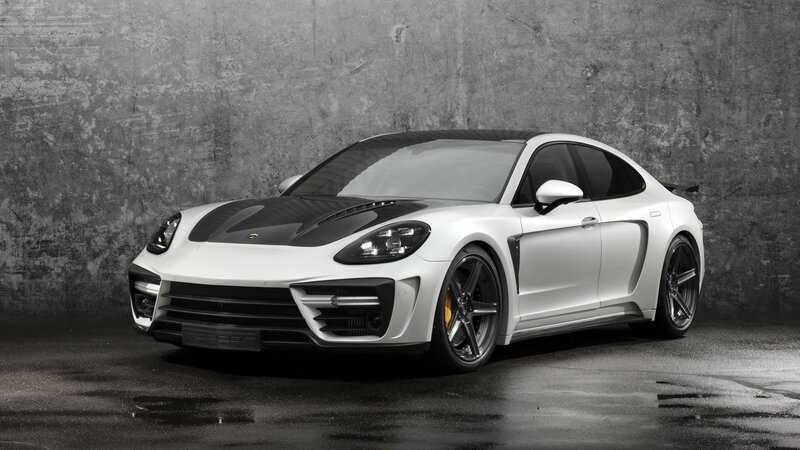 Well, consider this one of the first tastes of a heavily modified, second-generation Porsche Panamera. And to the shock of no one, it comes from TopCar, one of the most prominent Porsche tuners in the business. The Russian tuner has worked on Porsche models longer than most tuners have been around. 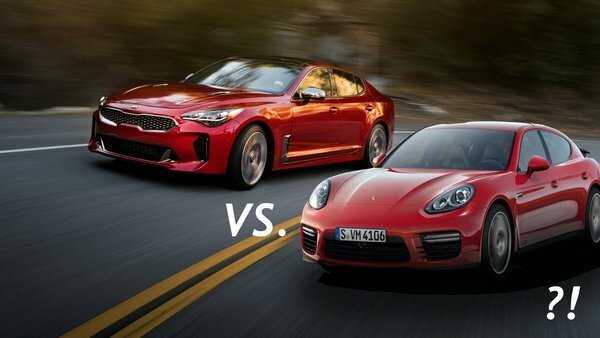 It’s responsible for the Stinger program for the 911, the Vantage program for the Cayenne, and a host of other works for other Porsche models, including the Macan, the Boxster, and the Cayman. 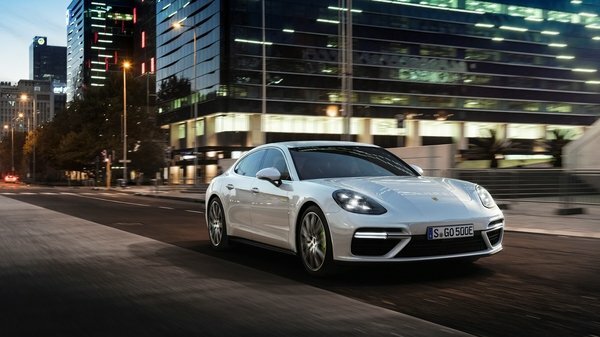 Now, TopCar is setting its sights on a next-generation program for the next-generation Panamera. The kit is what you’d expect from TopCar. It’s got extensive aerodynamics that borders on over-the-top. It’s got a lavish interior offering that includes all the premium materials a customer can think of, including 24-karat gold. And it’s got a significant engine upgrade. In other words, it’s a TopCar tuning kit for the Panamera that owners of the luxury saloon will have a hard time saying no to, provided that TopCar’s tuning methods are in sync with what they’re looking for. 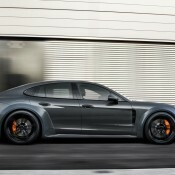 Continue after the jump to read more about the Porsche Panamera by TopCar. 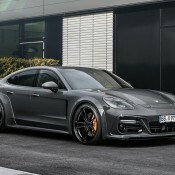 The post Techart Porsche Panamera GrandGT 2017 appeared first on Motorward. It’s been four years since we first saw the Panamera Sport Turismo Concept at the Paris Motor Show. Since then, the next-gen Panamera sedan has made its appearance, and more recently we got to lay eyes on the Panamera Turbo S E-Hybrid. We’ve received a few rounds of spy shots that showed the Panamera Shooting Brake being put through the paces, and just before it’s official debut at the 2017 Geneva Motor Show, Porsche has decided to spill the beans about the newest member of the Panamera Family. 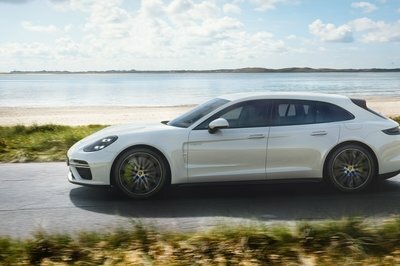 Sporting the same front end as its sedan sibling and a whole new design out back that’s similar to that of the Sport Turismo Concept, the Panamera Shooting brake will also be available with the same four engines available in the sedan, and somehow manages to maintain the same performance figures despite being longer. It gets an active spoiler out back that helps add downforce to the rear axle at track speeds, and can be had with a 2+2 or a 4+1 seating layout, the latter of which throws a jump seat of sorts between the individual seats in the rear. That makes this shooting brake model the first to offer seating for five when properly equipped. 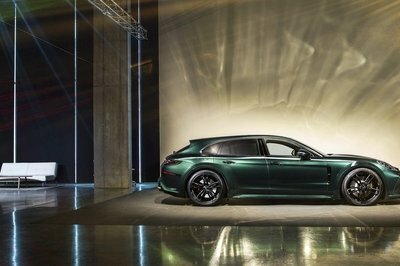 So far, Porsche as released a fair amount of information regarding its newest wagon (am I the only one who’s not sure the standard Panamera is even really a sedan?) and it’s enough to cover most of the juicy bits. 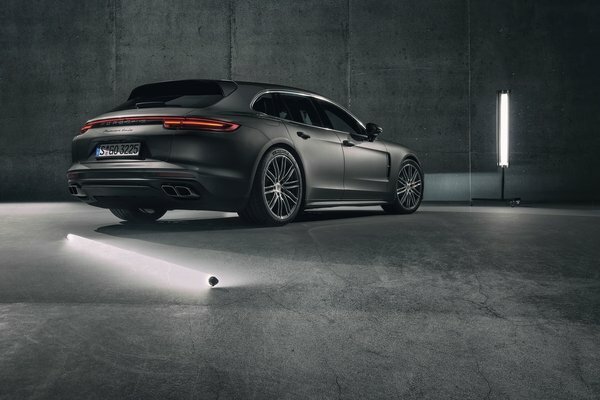 We’ll surely learn more at its official debut and later on when it officially launches here in the U.S., but until then, let’s dive on in a take a good look at the new Panamera Shooting Brake… uhem…. 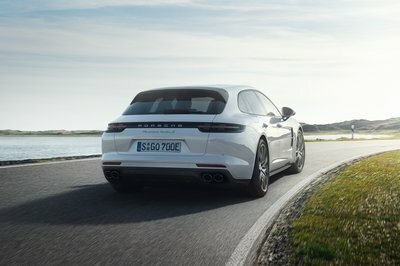 Panamera Sport Turismo. 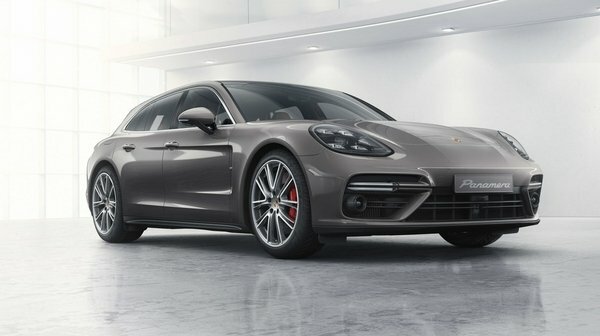 Porsche first unveiled the Panamera in 2009, dropping the cover on its four-door’d 911 lookalike at the 13th Auto Shanghai International Automobile Show in China. Drawing its name from the Carrera Panamericana open-road rally from the ‘50s, the Panamera was a clear break from the brand’s sports coupe history. 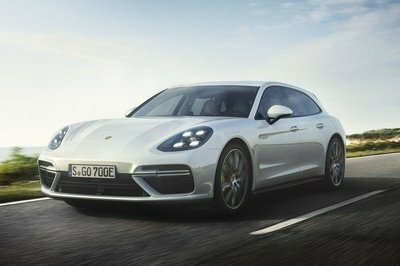 However, like the Cayenne SUV that came before it, the Panamera quickly established itself as one of Porsche’s staple model lines, selling well across several markets, especially in the U.S. To help broaden the sedan’s appeal even further, Porsche introduced the Panamera plug-in hybrid in 2013, followed by a second-gen release in 2016. Now, Stuttgart has introduced another electrified variant called the Turbo S E-Hybrid, and rather than just providing green sensibilities, the hybrid bits make it faster. In fact, with a twin-turbo V-8 and electric motor under the hood, the Turbo S E-Hybrid is the most powerful model to wear a Porsche badge at the moment, save for the 918 Spyder. Pair all that go with four-door comfort, oodles of cabin luxury, and even a long-wheelbase variant, and this thing looks to create a whole new niche all for itself. And why not? We’re long past the era when hybrid tech was reserved solely for Prius wannabes, and electrified powertrains are now commonplace in both sports cars and in racing. For example, Audi, another VW product, was the first to take top honors at the 24 Hours of Le Mans in a hybrid with its R18 E-Tron diesel in 2012. Now Porsche has adopted similar technology for the Panamera, even pulling influences from the uber-fast 918 for inspiration. 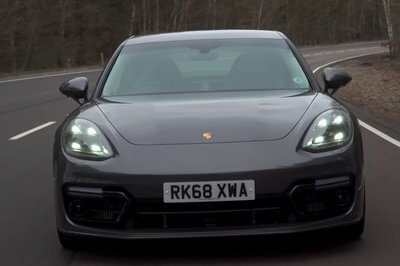 Basically, Porsche is making its surprisingly fast Panamera even faster by adding a fat dose of electrification. And we like that, even if it still looks… well, like a Panamera. The new Panamera Turbo S E-Hybrid will premiere in the metal at the Geneva International Motor Show early this March, and will also be offered in a long-wheelbase Executive edition. The specs between the Euro-bound model and U.S.-bound model are identical, which leads us to ask – is this thing basically a four-door 918 Spyder? 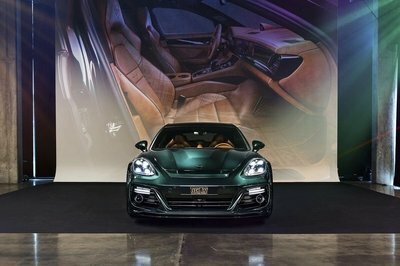 Porsche just unveiled the new head honcho of the Panamera stable, and it just so happens to be a hybrid, marking the very first time an electrified model has lead a Porsche line. It’s called the Turbo S E-Hybrid, and it uses hybrid technology for moar power. As such, the new Panamera Hybrid replaces the old Panamera hybrid’s six-cylinder with the same boosted V-8 as the Panamera Turbo, yielding 4.0-liters of displacement, plus an electric motor. That means 550 horsepower from the dino juice, plus an extra 136 horsepower from the electric motor. And that means when you put your foot down you’ll enjoy a whopping 680 horsepower and 626 pound-feet of torque, figures only bested by the mighty 918 Spyder when it comes to production vehicles with a Porsche badge. Not only that, but it also can go a full 50 km (31.1 miles) on battery power alone. Porsche adds that EPA estimates on fuel returns will be posted closer to market launch. But who cares? Routing the output towards the blacktop is an eight-speed PDK dual-clutch transmission, as well as a high-performance AWD system. Performance figures include a 0-to-60 mph time of 3.2 seconds, while top speed is rated at 192 mph. Standard spec includes ceramic brakes, dynamic chassis control, 21-inch wheels, and the Sport Chrono Package. Inside is a 12.3-inch touchscreen, Apple CarPlay support, and the latest iteration of the Porsche Communication Management system, plus there’s an app that’ll let you remotely control the battery charging and set the cabin temperature settings. There’s also a long-wheelbase Executive iteration planned, if you’re feeling saucy. The 2018 Porsche Panamera Turbo S E-Hybrid will debut in the metal at the Geneva International Motor Show next month. Pricing starts at $184,400 for the standard model, while the Executive will start at $194,800. In my mind, the most exciting thing to debut in Detroit this year has to be the Kia Stinger GT. Based on the brand’s GT Concept car that debuted at the Frankfurt Motor Show back in 2011, as well as the GT4 Stinger concept that debuted in Detroit in 2014, the Stinger GT is a watershed moment for the South Korean automaker. Long story short, this is Kia’s new halo performance machine, and it arrives ready to tangle with some of the most popular European four-doors on the planet. That said, it might seem like a bit of a stretch to put this thing up against a $115K Porsche, right? I mean, have we gone completely loony?! Woah there, Internet warrior. Put down the keyboard. There’s a method to our madness. While it’s true that any Porsche buyer worth his PDK wouldn’t step within 100 miles of Kia dealership, a gearhead with some 911 wallpaper on his phone making a third as much money a year just might. If there happens to be a few Stinger GT’s waiting for a test drive. And why not? 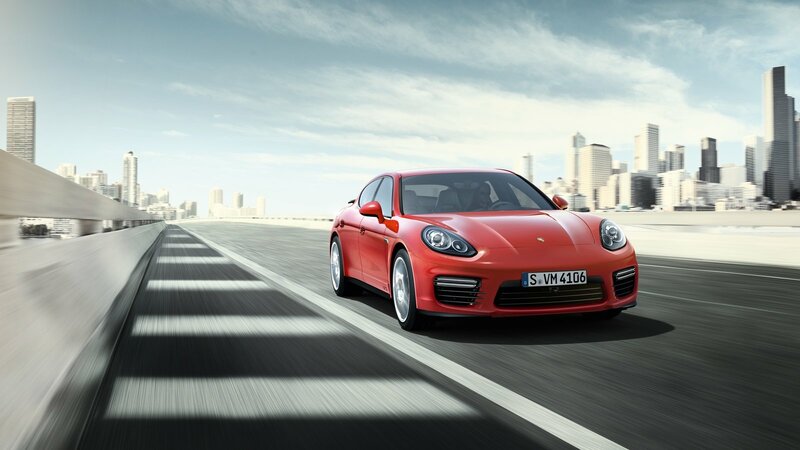 It’s got a similar body style, and if you get the base model Panamera, straight-line acceleration is roughly the same. Still… seems like a bit of a stretch, no? Maybe… but maybe not. Continue reading to see what we’re on about. 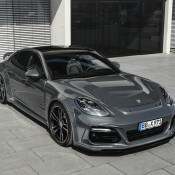 The second-generation Porsche Panamera was unveiled in June 2016 at a special event in Berlin, Germany. The overhauled sedan arrives with an evolutionary design based on the previous model, but gained several 911-like features for added sportiness and a slightly longer and wider body. Inside, it adopted a fresh design with larger screens for the infotainment system and instrument cluster, while the previous V-6 and V-8 engines were replaced with smaller, more efficient units. The hybrid model was also redesigned, while 2016 marked the return of the long-wheelbase Executive version. The Panamera Executive made its first appearance for the 2014 model year, when the first-generation sedan received its mid-cycle facelift. Offered in various trims, it had a 5.9-inch longer wheelbase and some extra standard equipment on the inside. For 2015, it also spawned an Exclusive Series model with a two-tone paint, bespoke interior, a limited, 100-unit production run, and a highly expensive sticker. 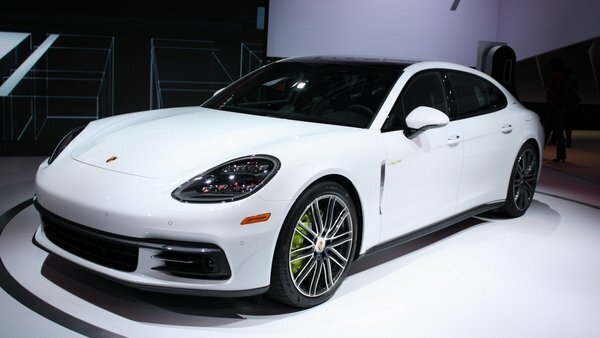 At the 2016 Los Angeles Auto Show, Porsche unveiled the second-generation Panamera Executive. Much like the previous model, the new Executive brings a few extra goodies to the table, as well as the same 5.9 extra inches to the wheelbase, which translate into a more comfortable interior, especially for rear-seat passengers. The elongated sedan is available in four trim levels, including the Panamera 4, 4S, 4 E-Hybrid, and Turbo, all based on the regular models and powered by the same drivetrains. Find out what sets it apart from its predecessor in the review below. Updated 11/21/2016: We added a series of images taken during the car’s official debut at the 2016 Paris Auto Show. 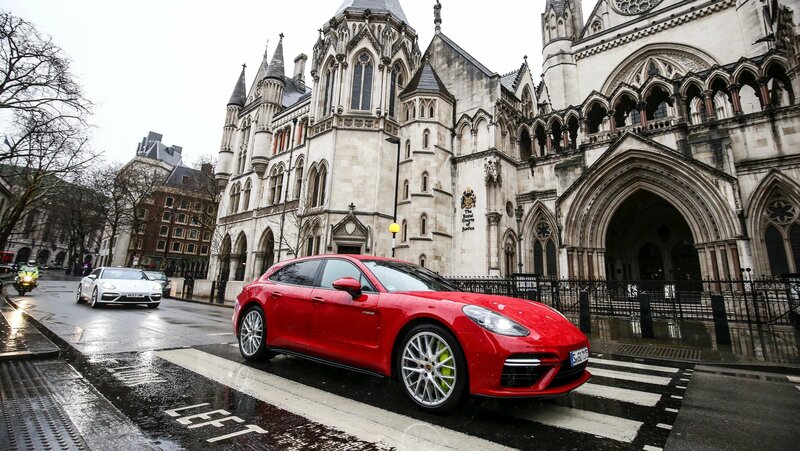 Continue reading to learn more about the Porsche Panamera Executive.